There has been a whopping increase in the usage of smartphones and tablets that have become the major mode to access business, entertainment, and other forms of applications. This is a clear indicator of how important are mobile apps to ensure effective business flow in today’s exploratory market conditions. With the numerous mobile apps available, active users are continuously searching for the best and fastest performing apps. The user preference primarily lies in the actual performance of the mobile app and it obviously plays an important role in bringing more visibility to that particular app. Issues with network quality: The performance of an app can be affected by the bandwidth and network latency issues. There is a need for performance testing to be done in varying network conditions to ensure good app quality and improved app performance. Wide range of device availability & existence of a variety of operating systems: In contrast to the standard desktops and operating systems, mobile apps are used across a wide range of devices and operating systems like iOS, Android, Blackberry, and Windows Phone etc. that typically affect the mobile app performance. It is extremely difficult to perform tests on each and every device and emulators help testers to mimic different devices in the same virtual test environment and bring about effective mobile testing. Wide range of screen resolutions: Various screen resolutions also significantly have an impact on the app performance and thus need more constructive mobile app testing. Need for quicker time to market: With the mobile app market being highly competitive, companies in haste release apps with new features with an aim to attract and retain their existing users. Their need for quicker release cycles and lack of time for testing significantly affects the app performance. There are very high expectations regarding the quality of app, whereas the time given for testing the app is too less. This, in turn, adversely affects the performance of the app. 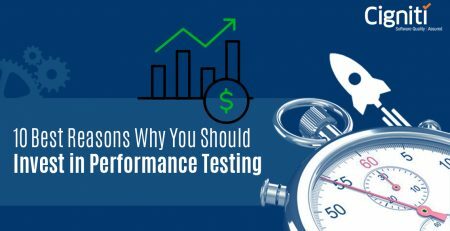 What does the Mobile App Performance testing include? The performance test assesses the overall system performance measuring system response time, and also measures the response time of all the crucial app elements. It also includes CPU usage testing and network usage testing. Performance testing can be carried out as either System testing or as Integration testing. The performance testing also depends on end-user preferences, varying amounts of traffic and impact of different load and usage patterns. There are many tools available both on-premise and on-cloud. Some of the on-premise tools include HP’s Performance Center Platforms, Appvances’ Performance Cloud, and Apaches’ JMeter etc. HP’s Performance Center Platform flexibly works with a range of server-based applications like thick client and uses Service Virtualization to test both browser and native mobile applications. Appvances’ Performance Cloud supports mobile web app testing through the mobile browser interface. Apaches’ JMeter, available as open source, works with Java and Java server pages and is used for mobile app load testing. 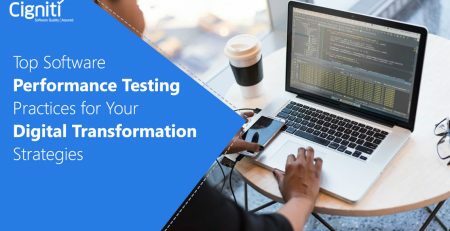 With the mobile applications creating a lot of scenarios for testers, mobile performance testing tool vendors look up even at Cloud services to expand mobile performance testing tools to solve these new issues. Some of these include SOASTA which offers greater CI integration, Neotys for real device metrics, Dynatrace that enables more facility to track users effectively in addition to many others. For an effective mobile application testing strategy, it is required to conduct performance & load testing throughout the application development life cycle using specialized tools. Depending on the enterprise requirements, in order to ensure effective performance testing, there should be proper tool selection, and primarily a focused approach on business objectives to be taken care of. Selection of able internal resources with good analytical & testing skills along with the practice of the right approach is also important. Contact performance testing specialists at Cigniti armed with an in-house Mobile Testing Lab for similar needs.